This Website is owned and operated by Pressure & Steam Pty Ltd (ACN 145 865 038) (“Pressure & Steam, us, our or we”). Pressure & Steam provides residential and commercial surface cleaning services to help customers have a healthier and safer home or commercial environment. These Terms & Conditions set out how we do it all, for you. h) “Website” means the website www.pressureandsteam.com.au and its related pages, including any mobile site or mobile or other application that we may offer. 3.1. All content and all intellectual property which includes text, images, trade marks (registered or unregistered), graphics, photographs, designs, icons, logos and service marks (“Content”) and the selection, arrangement and “look and feel” of all content contained on the Website, is the property of Pressure & Steam or third parties who have granted Pressure & Steam permission to use it on the Website. All Content contained on the Website whether past, present or future and is protected by national and international copyright, design and trade mark and other laws. Your right to use the Content is limited only to those rights expressly set out in the Terms. 4.1. Some of the material on this website may be for mature audiences, and parents and guardians should take responsibility for monitoring their children’s use of the Website. 4.2. No person under the age of 18 should use this Website without parental or guardian supervision. If we do find that someone under the age of 18 is accessing the Website, Pressure & Steam may restrict their access to the Website and may cancel or restrict access to any services to be delivered to the parent or guardian of that child. Any cancellation or restriction of services to a Customer as a result of the unsupervised use of this Website by a child will result in the Customer forfeiting any payments made to Pressure & Steam and no refund will be available. 4.3. To receive services from us, you will be asked to provide us with your details and submit your personal information. You warrant and agree that all information provided to us is accurate, true and up-to-date in all respects and at all times. You also agree to update your details with any changes to your personal information previously submitted as soon as practicable after such personal information changes. 4.4. Pressure & Steam reserves the right in its sole discretion to refuse to accept any booking for services. If you breach any of these Terms, we will be entitled to not accept any further or future booking requests, by you or your associates. 4.5. You acknowledge that when you register and use the Website, you will receive correspondence from Pressure & Steam, including newsletters, relating to the Website and the business of Pressure & Steam. 4.6. Pressure & Steam grants you a revocable limited non-exclusive licence to access, browse, use or contribute to the Website or the Content on your computer or similar device and download and use downloadable Content for personal, private or domestic purposes only or for the sole purpose of making purchases from or interacting with Pressure & Steam. 4.7. You warrant that you are not visiting or using the Website or Content or purchasing any goods or services from the Website or from Pressure & Steam for any commercial purpose and will not access, browse, use or contribute to the Website for a commercial purpose. 4.8. Except as expressly permitted in these Terms or on the Website, or with Pressure & Steam’s prior written permission, you are expressly prohibited from modifying, copying, downloading, distributing, transmitting, displaying, publishing, selling, licensing, creating derivative works or otherwise using Content available via this Website for commercial or public purposes, including but not limited to use as meta tags or linking the Website or Content on other pages or sites on the world wide web. 4.10. Pressure & Steam will hold you liable for any loss, damage or claims arising, directly or indirectly, from your interference with the Website, Content, security or access to the Website or Content or in any other way prevent the usual operation of the Website and its availability to the public. 4.11. Pressure & Steam reserves the right, without notice and in its sole discretion, to restrict or terminate your ability to use the Website, and to limit, block or prevent access to and use of this Website, without any liability to you. Failure by you to abide by the Terms revokes your authorisation to use the Website and its services, including any licence granted. 4.12. Pressure & Steam reserves its right to refuse service, terminate a booking or change or remove the Website or Content at its sole discretion and will not be liable for any damages, loss or expenses of any kind, including indirect or consequential loss or damage, suffered or incurred by you in any way (including due to negligence) as a result of refusal, termination, change or removal, or in connection with your reliance on the order in any way, other than a refund that is expressly permitted under the Terms. 4.13. You acknowledge that Pressure & Steam is the owner or licensee of all intellectual property rights in the Website and all works and designs therein and nothing in these Terms grants or gives you any intellectual property rights in the Website, works or designs, which to avoid doubt are absolutely assigned to Pressure & Steam. 4.14. Upon contributing or providing content of any kind to the Website, including via third party sites such as Facebook or Twitter, you immediately grant Pressure & Steam a licence to use it for the purpose for which it was given and for our reasonable promotional or marketing purposes relating to the Website and you acknowledge that this clause is sufficient to give effect to the licence. You acknowledge that any contribution you make to the Website or via other sites, does not in any way give you a right, title or interest in the Content or the Website and you warrant to Pressure & Steam you have all necessary rights, including copyright, in the content you are contributing and have not granted any rights inconsistent with any rights granted under these Terms. You warrant that any content contributed by you is not unlawful, defamatory, false or misleading, in violation of laws including privacy, harassment or discrimination, infringing rights, abusive, offensive, obscene or inappropriate, including by being vexatious, provocative, an endorsement or a solicitation and there is currently no claim or dispute with any party about any ownership or use of it. 4.15. All material published on the Website may, at Pressure & Steam’s sole discretion, be edited, removed or republished for any reason whatsoever. 6.1. Pressure & Steam selects third party partners and associates with care and with our customers’ needs in mind. We aim to provide information and services from reputable third parties with quality products or services who will be able to fully deliver that information or those services to you. 6.2. The Website may contain links to third party websites or content (Third Party Content). Pressure & Steam does not monitor, review or update, and does not have any control over, Third Party Content. Unless expressly stated otherwise, Pressure & Steam does not endorse or adopt Third Party Content and makes no representation, warranty or guarantee as to accuracy, completeness, timeliness or reliability of Third Party Content or the safety of any third party website. 6.3. If you use the links contained on our Website to access Third Party Content you do so entirely at your own risk and liability. In addition, without limiting any other part of the Terms, reference to any products, services, processes or other information by name, trade mark, manufacturer, supplier or otherwise on or via the Website does not constitute or imply any endorsement, sponsorship or recommendation by Pressure & Steam. 7.1. The Website and Content are provided “as is” without warranty of any kind, express or implied. Except to the extent required by the law, Pressure & Steam does not make any representations or warranties as to the Website, including but not limited to, warranties of merchantability and fitness for a particular purpose, title, non-infringement, security, informational content, system integration or accuracy and the express warranty of quiet enjoyment or as to the accuracy or suitability of information, descriptions, guidelines and images on the Website including colour, design and texture samples, descriptions of any materials or products, services, offers, merchants or any other information shown on the Website. 7.2. Pressure & Steam does not represent or warrant that the Website or its server(s), applications or functionalities are free of viruses or other harmful components, and you bear the entire risk of losses or damages that you may incur or suffer as a result of any use of or visit to this Website. Pressure & Steam does not guarantee continuous, uninterrupted, error-free or secure access to the Website or its services, since the operation of the Website may be interfered with by numerous factors outside of Pressure & Steam control. 8.1. Except to the extent required by the law or as is expressly set out in the Terms, Pressure & Steam specifically disclaims all or any liability arising from your access to or use of the Website and Content, making any order or purchasing any services, and in no event will Pressure & Steam, its subsidiaries, affiliates, officers, directors, shareholders, employees or agents be liable for any loss or damage of any kind, including indirect, incidental, consequential, punitive, or special damages or any loss of use, loss of profits or loss of data, whether in an action in contract, tort, strict liability or otherwise (including but not limited to negligence), arising out of or in any way connected with those matters (even if Pressure & Steam has been advised of the possibility of such damages). 8.2. In any event, Pressure & Steam’s total liability to you for damages, losses, and causes of action (whether in contract or tort (including, but not limited to, negligence) or otherwise) will not exceed the amount paid by you, if any, for accessing the Website or purchasing any services. 8.3. 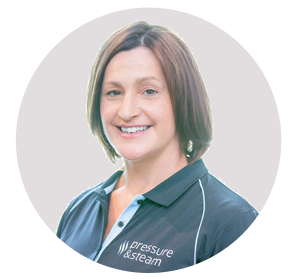 Pressure & Steam’s liability for breach of any condition or warranty implied by legislation is, at Pressure & Steam’s option, limited to supplying services again or payment of the cost of having services supplied again. 8.4. Without limiting the above, you acknowledge that Pressure & Steam accepts no responsibility or any liability for bookings made by you, and you acknowledge that recommendations are to be strictly observed and followed at your own risk. Pressure & Steam does not accept any responsibility or liability for any information or errors provided by you in a booking or in receiving any services, including your failure to do all things necessary to ensure the booking and receipt of services are suitable and safe for your circumstances. 8.5. You release and forever discharge Pressure & Steam, its officers, employees and agents from all and any loss, damage or liability (including indirect, special or consequential) excluded under these Terms, including from any third party claim, except to the extent that any legislation applies and cannot be lawfully excluded. 9.1. You indemnify and will keep indemnified, Pressure & Steam and its subsidiaries, affiliates, officers, directors, agents, shareholders, employees or agents and will hold us harmless from any claim or demand, including reasonable attorneys’ fees, made by any third party due to or arising out of your breach of the Terms, or your violation of any law or the rights of any party. You also indemnify and will keep indemnified Pressure & Steam from any and all damage you may cause Pressure & Steam, its business, or the Website due to your interaction with the Website including without limitation your contributions, if any to the Website. 9.2. You indemnify and will keep indemnified and hold harmless Pressure & Steam, its officers, employees and agents against any loss or damage of any kind that is either excluded under the Terms, including from any third party claim, for any property or injury to or death of any person, or caused as a result in any way by a breach by you of the Terms, any negligent act or omission or wilful misconduct of yours or any claim, suit or action brought against Pressure & Steam as a result of your ordering, booking and receiving any services. 9.3. This clause contains continuing separate obligations and it survives termination. 10.1. Pressure & Steam offers various services for purchase. 10.2. Our services may be available for purchase via our Website or directly from Pressure & Steam. All services are purchased subject to any booking requirements or instructions referred to on the Website or otherwise notified to you. 10.3. When placing an order you will be required to select the services that you wish to purchase and provide the requisite details for the booking. For each order you must provide accurate and up-to-date details of the purchaser, payment details and any other information required to effectively process your order. 10.4. By placing an order, you warrant you are not a legal minor and you are over the age of 18 years and you have full and due capacity and authority to make the order. 10.5. Once you have submitted an order, you must make payment for the order in accordance with the payment methods specified or referred to on the Website or otherwise notified to you. An order will only be deemed to be placed when you have submitted the order and the full payment required on placing the order has been received. 10.6. Pressure & Steam reserves the right to accept or reject your order for any reason including, the unavailability or unsuitability of any services, an error in the price or description of any services or any error in your order, and in the event that we cancel your order, we will provide a full refund of any payments received from you. 11.1. The price of a service is the price specified or referred to on the Website or otherwise notified to you. We may at our sole discretion from time to time update the price of any service. All prices are processed in Australian dollars unless otherwise notified on the Website. 11.2. Payment in accordance with the payment requirements for your booking must be received by us prior to the provision of the services that you have ordered. 11.3. If you receive in-person services from Pressure & Steam which are not the subject of an order, you are required and agree to make full payment of the fees for such services within 14 days of the services being provided. 11.4. You are not entitled to make any set off, to withhold or deduct for any reason any monies payable to Pressure & Steam pursuant to this Agreement. 11.5. Pressure & Steam accepts no liability for unauthorised use of any of your payment, credit card or bank account details, including due to fraud, forgery or other similar acts. You agree to release and indemnify Pressure & Steam against any loss, damage or claim arising, directly or indirectly, from any unauthorised use of your payment details. 12.1. If any service has a delivery timeframe, it is your responsibility to be available to receive the service within the specified timeframe. If you fail to receive the service, or any part of it, within the specified timeframe Pressure & Steam may, in its absolute discretion, re-schedule delivery of the services or cancel the order pursuant to this Agreement. 12.2. You acknowledge that you are solely responsible for complying with all terms, conditions or instructions of any service as described or referred to on the Website or otherwise notified to you (“Instructions”). Pressure & Steam is under no obligation to provide a service to you if you do not comply with the Instructions. 12.3. You release and indemnify Pressure & Steam against any loss, damage or claims that may arise as a result, directly or indirectly, of the conduct of yourself or any third party in the receipt of any services or your compliance with the Instructions. 12.4. You acknowledge that you are solely responsible for reading all Instructions for the receipt of services as specified on the Website and you are solely responsible for complying with such Instructions. If you believe the instructions to be unclear you must contact Pressure & Steam directly prior to the delivery of the services for clarification of your obligations. 13.1. The services that you have ordered will be delivered in the manner specified on the Website or otherwise notified to you. 13.2. It is your sole responsibility to be available to receive the services, provide any requested details and take any required pre-attendance steps that are required for your booking as described on the Website or otherwise notified to you. 13.3. If you will not be available to receive any services, including being unable to provide required information or complete any pre-attendance steps, within the booking timeframe it is your sole responsibility to cancel your booking by providing not less than 48 hours notice prior to the booking date. On cancellation of your booking our Cancellation Fee apply and will be immediately due and payable. 13.4. If Pressure & Steam have not received full and complete details required for the booking or if you have not completed the pre-attendance steps within 48 hours prior to the booking date, Pressure & Steam may in its sole discretion elect to cancel your booking or offer an alternative booking timeframe. 13.5. If Pressure & Steam have attended at your premises to deliver the booking and the services are unable to be delivered because you are not available to receive the services, you have failed to provide full and complete details or you have not completed the pre-attendance steps, Pressure & Steam may in its sole discretion elect to cancel your booking or offer an alternative booking timeframe. Pressure & Steam may charge an additional fee for re-attendance for any booking if such booking has been postponed pursuant to this clause. 13.6. If Pressure & Steam elect to cancel you booking pursuant to this Agreement as a result of your unavailability, failure to provide complete details or complete any pre-attendance steps, you will be treated as having breached this Agreement and the Cancellation Fee will apply. 13.7. Pressure & Steam is not liable for any loss, cost, expense or Claim arising in respect of the Customer as a result of the services being placed on hold, postponed or cancelled pursuant to this Agreement. 14.1. You are solely responsible for notifying us of any change of date or change of requirements for your booking. 14.2. If you notify us of a change of date at least 48 hours prior to the booking date, Pressure & Steam will accept such change without penalty. 14.3. If you cancel your booking by providing at least 48 hours notice to Pressure & Steam, a Cancellation Fee of $110 plus GST will apply and will be immediately due and payable. 14.4. If you cancel your booking by providing 48 hours or less notice to Pressure & Steam, a Cancellation Fee of 25% of the value of your booking will apply and will be immediately due and payable. 14.5. If Pressure & Steam cancels your booking because of your failure to comply with your obligations under this Agreement, a Cancellation Fee of 25% of the value of your booking will apply and will be immediately due and payable. 14.6. If you need to change the scope of the services required by you, you must provide Pressure & Steam with at least 48 hours notice as a change of date may be required to accommodate the additional services. If less than 48 hours notice is provided to Pressure & Steam, the change request will be treated as a cancellation of the booking and a Cancellation Fee will apply. d) Pressure & Steam or any of its representatives experiences any form of discrimination, harassment, aggressive, condescending, disrespectful or anti-social behaviour from the Customer or any of its officers, employees, agents, contractors. 15.1. Pressure & Steam will use all reasonable endeavours to deliver to the Customer the services during the booking timeframe provided the Customer complies with its obligations under this Agreement. 16.1. Depending on the services you have ordered, Pressure & Steam may recommend strategies and techniques to maintain the integrity and longevity of the services provided. It is your sole responsibility to undertake and implement any such strategies or techniques recommended by Pressure & Steam and you acknowledge that the integrity and longevity of the services may be impaired or reduced if you fail to do so. recommended by Pressure & Steam. 16.3. You must rely on your own skill, experience, judgment and opinion to determine whether any service is appropriate for you and not rely on the representations or opinion of Pressure & Steam in making such decision. 17.1. You acknowledge and agree that all information and materials provided to you in the delivery of the services are the sole property of Pressure & Steam. You are not permitted to use, distribute or in any manner share any materials or information received by you from Pressure & Steam or any other party in the delivery of services to you. 17.2. You acknowledge and agree that you will obtain no rights in Pressure & Steam’s intellectual property which will at all times during this Agreement and after its termination remain the sole property of the Pressure & Steam. 17.3. To the extent that you have or at any time acquire any right, title or interest in or in relation to the intellectual property of Pressure & Steam, by this Agreement you assign to Pressure & Steam absolutely your entire right, title and interest in such intellectual property. b) use the Confidential Information of the other party solely for the purpose of performing its obligations under this Agreement. Notwithstanding other provisions in this clause, the Customer and Pressure & Steam may disclose the terms of this Agreement (other than Confidential Information of a technical nature) to their respective solicitors, auditors, insurers, advisers and accountants on a “need to know” basis. d) is required to be disclosed by a governmental agency or law so long as the recipient promptly provides the other party with written notice of the required disclosure. b) the failure by the Customer to comply with its obligations under this Agreement. Pressure & Steam does not warrant or guarantee any outcome or result as a result of undertaking any service. The Customer acknowledges that Pressure & Steam has limited control over the success or otherwise for the Customer including any desired or anticipated outcome or result which may be impacted by external circumstances beyond the control of Pressure & Steam. Pressure & Steam will not be liable for any loss, cost, expense, inconvenience or Claim by the Customer relating to any unachieved outcome or result expected or anticipated by the Customer. AND in respect of any fitness for purpose Claim made by the Customer against Pressure & Steam, the Customer bears the onus of proof of establishing in respect of each Claim that it satisfies the conditions above. a) All Fees are exclusive of GST unless otherwise expressly advised. b) If a payment by a party under this Agreement is a reimbursement or indemnification, calculated by reference to a loss, cost or expense incurred by that party, then the payment must be inclusive of any GST payable and will be reduced by the amount of any input tax credit to which that party is entitled for that loss, cost or expense. That party is assumed to be entitled to a full input tax credit unless it proves, before the date on which the payment must be made, that its entitlement is otherwise. The expiry or termination of this Agreement or any service will not affect or limit any accrued rights of the parties. The Customer will be deemed to accept the terms of this Agreement in respect of any booking and its use of the Website, without execution of this Agreement, if the Customer provides to Pressure & Steam instructions, approval or authority to proceed with the booking (including by payment of the booking fee), whether verbally or in writing, at any time after receipt by the Customer of this Agreement. This document is governed by the law of the State of New South Wales and each of the parties irrevocably submits to the non-exclusive jurisdiction of the State of New South Wales. b) a waiver of or in any other manner release any party from strict compliance with any provision, condition or requirement in the future.